Recalling the glam stomp of Bolan and Bowie and the modern chug of Queens of the Stone Age, UK’s The Moons have delivered a new single, “Heart and Soul,” to help cast aside the Monday blues. 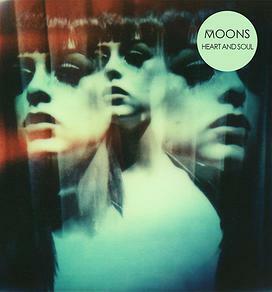 “Heart and Soul” is the first single from The Moons’ upcoming third release, Mindwaves, which will be released on 21 July. “Heart and Soul” will be available next Monday 31 March, but you can stream the track and watch the official video below. Pre-order “Heart and Soul” via iTunes.